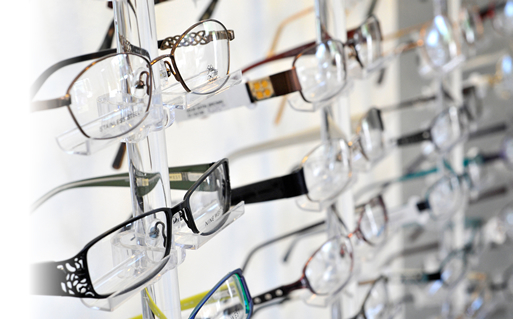 We provide a large selection of quality frames, sunglasses, readers and accessories. Our ABO certified opticians will give you a personalized experience, helping you through every step of the process. We begin with frame and lens selection, customized to your individual needs and personality, precise measurements are taken, only quality materials are used and the glasses are given a final fitting at the dispense of your new eyewear. Our collections include everything from designer, moderate and budget frames custom fit to you. We carry popular brands for every budget and style preference. Our opticians are knowledgeable and courteous and will be happy to assist you and answer your questions. We do not have the philosophy that one size fits all when it comes to your eyewear needs. Personalized, precise and quality eyewear is our motto…your eyes deserve the best. Visit these sites to learn more about your eyes and eyeglasses.